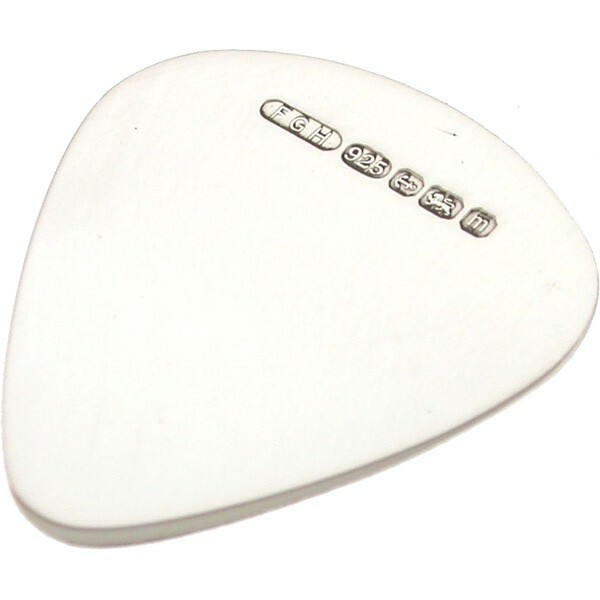 Personalised Engraved Sterling Silver Guitar Plectrum. This beautiful item is a must have for any guitar fanatic and a keepsake for years. The plectrum comes engraved with your text and presented in a lined gift box. Although we have no limit on characters we would advise keeping your engraving requirements to a minimum, the plectrum measures 30 x 26mm. We also sell a silver plated version within our shop too!